The name Muhammad joined the national Top 100 last year, which was also its first time in the New South Wales Top 100. However, data from the NSW Registry of Births, Deaths and Marriages shows that, if you combine all the variant spellings, Muhammad has been in the Top 25 of the state since 2010, giving it a similar level of popularity to Xavier, Jayden, Mason and Charlie. This trend looks likely to continue, with 161 baby boys named Muhammad, Mohamed, Muhammed or Mohammed already born in the state this year between January and August. Muslin leader and community spokesperson, Keysar Trad, who has a son named Muhammad, believes that these statistics are a sign that Australian Muslims are becoming more confident in giving their children Islamic names. He thinks that they show a greater acceptance of Muslim names in the wider community, and a healthier connection with their religion amongst Muslims. Mr Trad says that religious names not only allow an expression of devotion to God, but allow parents to reclaim an aspect of their culture. By choosing the name of a significant religious figure, they hope that their child will share in the good qualities of that name, and perhaps be inspired to learn more about it when they get older. “You think that one day, maybe they will read up on the significance on the name,” he said. The prophet Muhammad’s full name was Abū al-Qāsim Muḥammad ibn ʿAbd Allāh ibn ʿAbd al-Muṭṭalib ibn Hāshim, and he was a 6th century leader from Mecca in Arabia who unified his country under Islam. According to his own testimony, at the age of 40, he began receiving revelations from God through the archangel Gabriel, and a few years later began preaching these revelations. He proclaimed that “God is One”, and that complete surrender to Him was the only acceptable path to God – the word Islam itself means “surrender”. Muhammad declared himself a prophet, and a messenger sent by God. The revelations which Muhammad reported receiving until his death in his early 60s form the Quran, which is the basis of the Muslim religion, and regarded by Muslims as the Word of God. The name Muhammad means “praised, praiseworthy” in Arabic, and it is a very popular name amongst Muslims. 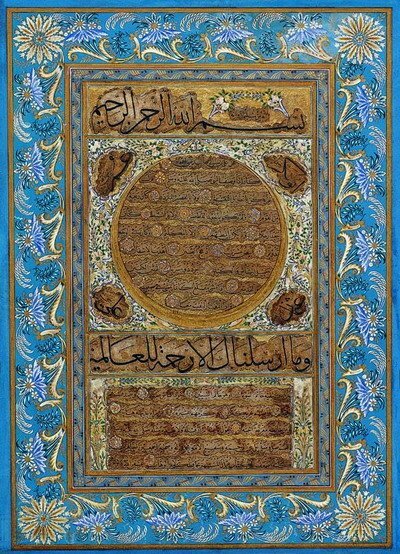 It has a variety of transliterations and spellings because of the different languages used in the Islamic world. It is believed that Muhammad, counting all variant spellings, is the most common personal name in the world, with an estimated 150 million men and boys bearing the name. It is the most common boys name in England/Wales, and in the United States, if all the spelling variants were combined, Muhammad would be in the Top 200 and rising, with a similar popularity to Silas, Maddox, Weston and Greyson. There is a popular theory that names which are too “ethnic” sounding should be avoided lest they lead to discrimination, and you can find studies which show that in many cases, it can be harder to get a job interview if the name on your resume looks “foreign” (although this Australian study showed it depended where you lived and what kind of “ethnic” your name was). Kayser Trad acknowledged that there have been cases where people with an obviously Muslim name had trouble getting a job, but he doesn’t believe the answer is to “go into hiding”, or change your name to Charlie Edwards to get an interview. It also occurs to me that this theory assumes that all businesses are owned and all industries are controlled by people from an Anglo background, and that all people in charge of such businesses would prefer not to employ non-Anglo people. That just isn’t true. I watched the daily business report on television yesterday, and noted that of the half dozen spokespeople from major businesses interviewed, four of them had ethnic names, including two with Arabic names. Furthermore, many businesses are owned by people from non-Anglo heritages, and having a Muslim name may prove an advantage in some areas. Businesses in areas with a strong migrant community could prefer to hire people from a similar background for greater rapport with and understanding of their customer base, and your name shouldn’t be any disadvantage in the public and non-profit sector – about 25% of the workforce, and in some areas, up to 80% of the workforce. Muhammad joining the Top 100 is a watershed in Australian society, but it should also be remembered that the majority of names on the boys Top 100 are of Jewish or Christian origin, with many names of pagan origin only coming into popular use through saints, such as George and Aidan, and even surname names developing because of saints, such as Mitchell and Jackson. POLL RESULT: Muhammad received an approval rating of 49%. 27% of people thought the name Muhammad connected its bearer to his culture, and as a result, 24% believed the name was only suitable for Muslims. 14% saw the name as “too Muslim”.